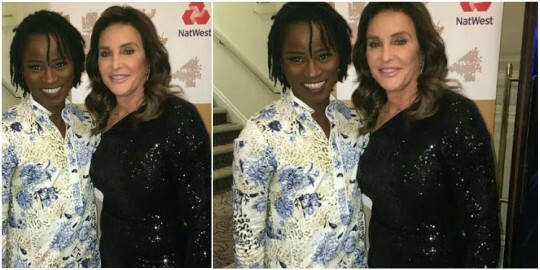 Nigerian Gay right activist, Bisi Alimi, who is currently at the British LGBT awards along with other members of the community like Caitlyn Jenner, really looks 'beautiful' in the new makeup photo she shared on her Instagram page. It is with this in mind I want to say thank you to @asilarex_bespoke for designing this outfit specifically for the British LGBT Awards. I want to also thank my wonderful friend and make up extraordinaire @obehinoir, the woman who knows my face and knows how to beat it. So now back to my amazing evening with my great friend @caitlynjenner"